Fans in the NFL are just crazy sometimes. This super fan for the Cleveland Browns wears shorts that feature lobsters with Brock Osweiler’s face on them. What a summer it’s been for the Cleveland Browns organization. Around the time of free agency, the Browns got ridiculed for taking on QB Brock Osweiler from the Houston Texans. Osweiler was coming off a rough year, after just signing a large contract with the Texans. The Texans didn’t want him so badly, as they sent the Browns a second-round pick just to take on Osweiler. For the Browns, they were rebuilding and trying to turn over all the stones to see if they can find their franchise quarterback. 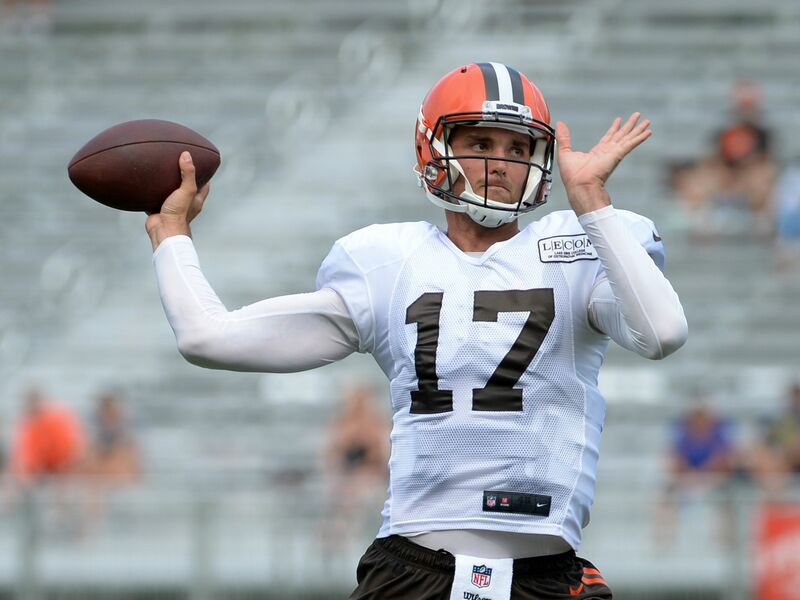 They also have QBs Cody Kessler and DeShone Kizer, but Osweiler is the one that got the starting nod for the preseason. The Browns released a video earlier in the week trying to promote their starting quarterback in the preseason. Naturally as most fans in the NFL made fun of the Browns for using Osweiler as their starting quarterback, this one fan decided to take it up to another level. Per Spencer Davies, this Browns fan seems to be completely dedicated to the ex-Texans flame-out. As you can see in the video, the fan is sporting shorts that feature Lobsters that have Osweiler’s face on them. What craziness and creativity is this!? The Browns have bigger issues as they head to the season, but the fans certainly seem to be enjoying the fact that they have a horrible quarterback situation. Cleveland is at home, taking on the New Orleans Saints in their preseason opener. I’m sure this dedicated fan shown in the video is ready to watch Osweiler impress in his Browns’ debut. He’ll be in the stands sporting his Brock Lobster shorts, cheering his new quarterback on.